I don’t think a bottle from Chile has graced this site since late February, so I’m overdue to show South America some love. This particular bottle’s major claim to fame is that one of its prior vintages was named the 5th best wine in the 1979 Wine Olympics held in France. Winding up in 5th usually isn’t that memorable (I tried to do a Google search for “famous fifth place finishes” to see if I could come up with an exception to that rule, but the pickings were slim), but in this case it was a national breakthrough of sorts: the top four wines in the Finisimo’s category were French, making this Cab the top New World wine of the bunch and helping cement Chile’s status as a serious producer of Cabernet Sauvignon. Back in the late ’70s the words “quality Chilean wine” were almost certainly thought of as an oxymoron; fast forward 30-odd years and the country is now a veritable wine power with a strong reputation for producing solid, flavourful bottles at bargain prices. 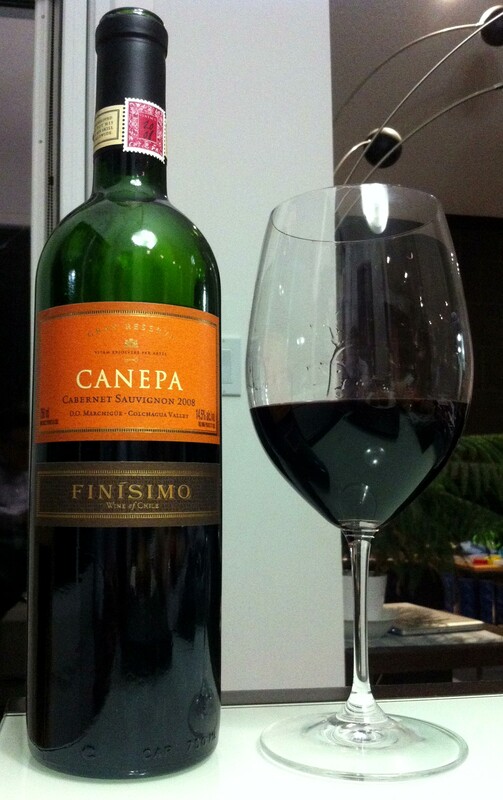 Canepa’s website suggests that Finisimo’s near-podium Olympic finish positioned it as Chile’s first premium wine, but these days it is more of a mid-range bottling (Canepa’s Magnificvm is its current top Cab, allowing Finisimo to settle in at an everyday-enjoyment price range). 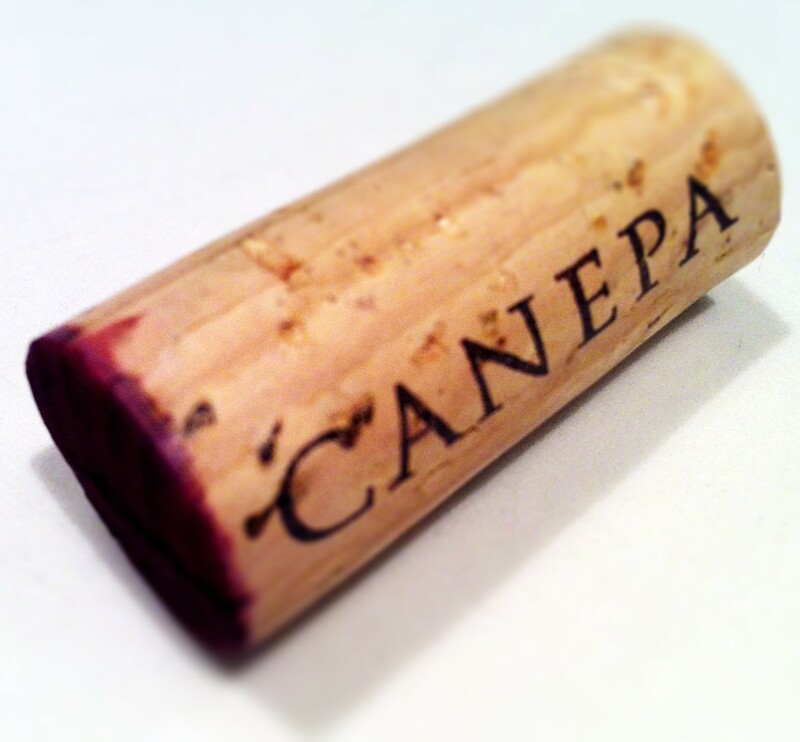 Canepa’s founder Giuseppe Canepa emigrated to Chile from Italy and started making Finisimo in 1960, reserving a small lot of his estate’s best grapes to create a special occasion fine wine for his family. Although labelled strictly as a Cabernet Sauvignon, the 2008 Finisimo is actually only 85% Cab and 15% Syrah — Chilean wines destined for export can have a single-varietal name only if 85% or more of the wine is made from the grape in question, and this one just meets that threshold. The label proclaims the wine to be a “Gran Reserva”, borrowing a term from the Spanish label dictionary, but this doesn’t reflect anything in particular: outside of Spain, where Gran Reserva wines are required to be aged for legislated minimum periods in barrel and bottle, the term has no defined legal meaning. It is likely meant to be suggestive of the quality of the wine inside, but strictly speaking it is just a marketing tool. Canepa makes some of the better wines I’ve had in the $10-$12 range, so I was interested to see what the next level of wines in their hierarchy were like. In a word, this one was DENSE. It came out of the bottle a deep, dark, inky purple colour, not remotely faded despite being four years from its vintage date, utterly opaque and glass-coating. That thick a colour can be suggestive of flavour concentration, and the nose didn’t disappoint in that regard, rolling out cascades of ripe and juicy blackcurrant and blueberry along with pleasant undertones of coffee, cedar, maple, baking spice and dill. It had all the lushness and energy you would expect from a New World Cab without seeming overdone, and it was a precursor to the Finisimo’s tightly packed, chewy full body that featured powerful doses of both acid and tannin that worked in deft counterbalance. The layers of dark fruit (cassis, blackberry, plum) continued on the palate, though they were dulled somewhat by the wine’s prominent oaky superstructure, a series of cedar, dark chocolate, toast and tobacco flavours that fought for attention leading into a moderating, almost citric fresh finish. The fruit still shone through in the end, but I think this bottle will be better in another year or two after the oak flavours integrate a bit more. This is a blockbuster New World Cab that isn’t undone by trying to be too soft, too silky, too approachable — there’s a lot of “stuff” to it for a bottle retailing near the $20 mark. It still seems fairly early in its development despite a year in barrel and 3 more in the bottle, and it still needs to come together a little, but the core of fruit at the centre of the Finisimo’s flavour profile showcases both the wine’s 5th place pedigree and its country’s realized potential.